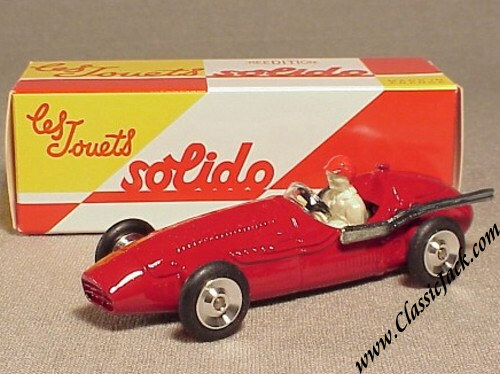 Solido Scale Model Cars Re-Issues. These are the famous Solido factory re-issues of a couple of years ago. In the early 1990's Solido decided to re-issue a limited series of 12 models which were the fastest selling Solido models of the 1960's. 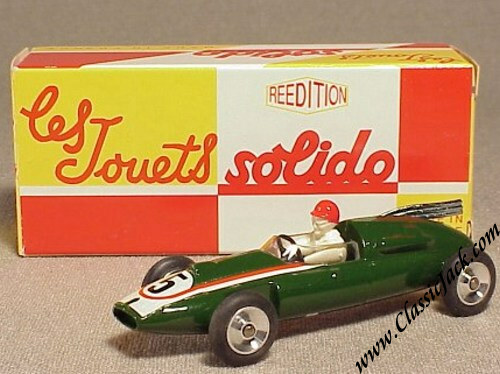 The models should be called re-issues as Solido used the exact same tools as in the 1960's so the models are NOT replicas but genuine Solido models. Although produced in reasonable numbers, the factory sold out years ago but occasionally, some models surface again. The models we have in stock are New-Old-Stock from the above mentioned production batch and have never been sold to the public. The batch was a once only purchase and when they're gone, they're gone! These diecast models are in scale 1:43rd. 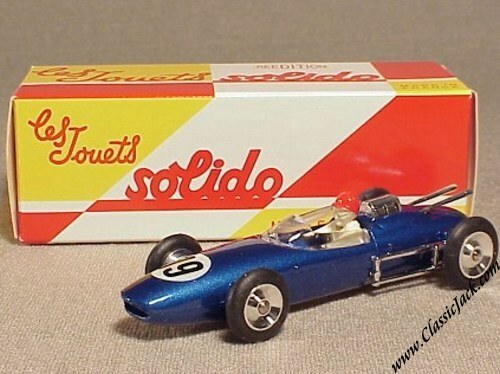 Solido Lola Climax V8 F1 1962.